Over the years experiencing Grandmaster Doc-Fai Wong demonstrating forms at various tournaments and special events have always been a treat. Witnessing "empty force" sent to me, especially for the first time, was amazing, scary, and quite invigorating. To feel so helpless while a force travels to you from a distance, manipulating your body is an experience I'll never forget. Grandmaster Wong’s teachings over the years have always been special to me and to all the other students as well. Receiving acupuncture from Grandmaster for a few injuries over the years and the quick results from the treatments has been impressive. 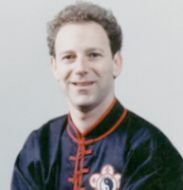 Grandmaster has always shown his good nature and very good sense of humor. For example one time someone called the studio inquiring about classes. Grandmaster Wong mentioned the introductory program and the caller evidently asked if the studio has a parking lot (SF is known for very limited parking). Grandmaster replied, "No, I don't have a parking lot and if I did then I wouldn't need to teach martial arts, I could just charge people for parking". I couldn't stop laughing just picturing the face of the caller.